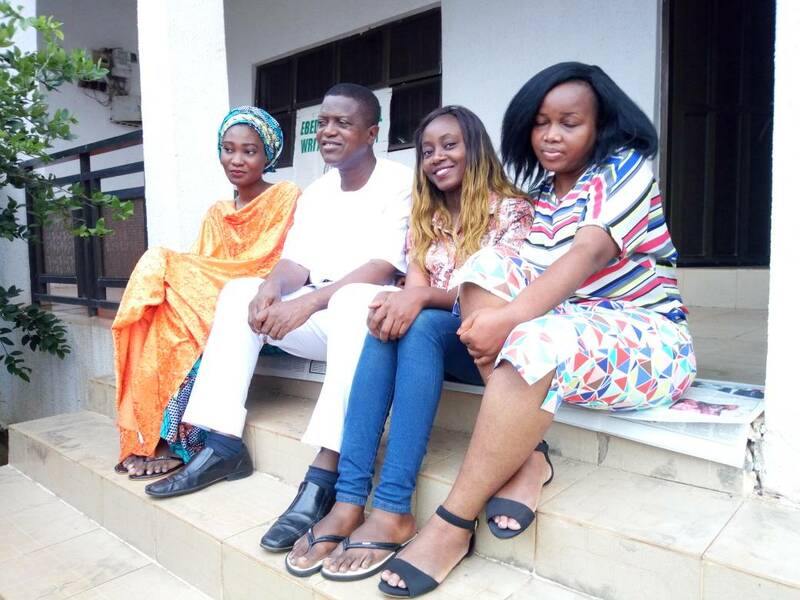 Marjaan Sadiq was at Nigeria’s foremost writers’ residency, the Ebedi, Iseyin, Oyo state between November and December last year. Here, she writes of her experiences at Ebedi, of the things in her head and the memories in her heart. On the road to Ibadan, I wonder what Iseyin will look like. I let my mind travel ahead of my body. I have always done that; let my imagination traverse the earth, go to places in my head, see things. Sometimes these images that are a part of my mental creation overwhelm me. Sometimes the greenery of acres of unused lands in my head make me crave to be on the road, the antiquated beauty of historical attractions make me hunger to be somewhere new, yet ancient, somewhere I can connect with the people of old. Alas, the lands are not so green, and historical places have been soiled with bits of technological advancements such that you are reminded that you're of the present, not the past. I have learned to understand that things can only be this beautiful in my head; because it is the only place I have absolute control over. 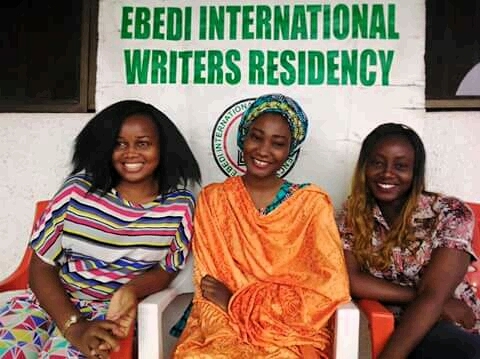 So, In my head, I picture "Ebedi International Writers Residency," just as it is written in my invitation letter. I picture the other girls. The last email I received was jointly sent to four of us. "To you, Kemi, Gertrude, and Amina." I put a face to all the names in my head, careful to put smiling faces there. Sometimes, things turn out the way we imagine them, sometimes they don't. Though I love to meet people, I have always been reluctant about being in the same space with strangers. I shift and shift my legs in the bus, trying to get a free position in which to place them. They are becoming cramped; there's not enough space between the seats. "I'm sorry Marjaan, we're about to go pick Gertrude, she's coming from Lagos. We'll be with you shortly." Dr. Okediran's Personal Assistant, Mr Bode Akinola tells me over the phone as I arrive Total Petrol station in Ojoo-the place I will be picked from. As I wait, all the members of my family call me to confirm if I am at the residency already, each of them growing worried that I am still waiting for Gertrude to be picked. I assure them I am fine. That this Gertrude girl is stuck in traffic. But I know they have a reason to worry. I have never been in Oyo state, and we don't have family here. After over an hour, the wine colored minivan arrives. So we head for Iseyin. Gertrude and I formally introduce ourselves whilst we are on the two-hour journey. "We're running late, we have to return to Ibadan today." Mr Bode says at the residency. In truth, it is running late. And the roads are bad. I imagine Mr. Bode and the driver-whose name I forgot immediately it was uttered-running all the way to Ibadan, on bare feet, with their shoes and the vehicle abandoned in front of the house. Kemi and Amina will not come until two weeks after we have started, Mr. Bode informs us. I am more than okay with that. I dread that I will have to replace their smiling faces in my head with frowning ones. Gertude is smiling more often than the face I have in my head, and she is chubby, more than the image I have created. Looking at her round face framed with thick black weave-on, I let the image in my head fizzle away, and replace it with this new image. I now have a face for the name. Our residency administrator, Mr. Koffi Sackey, will come tomorrow, Mr. Bode says over his shoulder as he heads for the door. His hurry amuses me. I am almost certain if there was an airport in Iseyin, he will take the last flight. Mr. Koffi is Ghanaian, with the accent. He pronounces "pastor " as "pasta", "her" as "hair", "come" as "cam". It is lovely, in a way. He tells me that he was once in the residency as a writer, that he was born and bred in Takoradi, Ghana, and that he has been the residency administrator since 2014. He is an amiable man. The residency is just the way I picture it in my head. Slightly different in detail, but it fits. I smile inward. I am not disappointed. 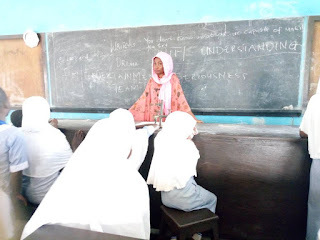 On Thursdays, we will go to Iseyin District Grammar School, and Alalukimba School. On Fridays, we will go to Ansarud-deen School. I am curious about the name, "Alalukimba." I promise myself, that I will ask what it means. 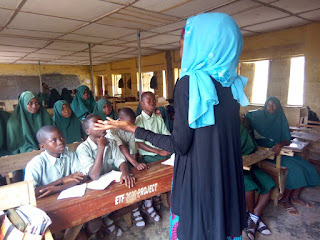 We will mentor the students on different forms of creative arts and creative writing. Gertrude and I choose to wait for the others before we decide what to do. Kemi arrives twelve days after us. Amina will not make it. Again, I am okay with that. Kemi's face is different from what I have stuffed in my mind's eye even before I left home. It is more beautiful, more smiley. But it has the incredible ability to twist into a deep frown, even in the middle of conversations. "You're going to get wrinkles." I joked once, when her brows furrowed, the lines almost meeting each other. She laughed. She is like me, in more ways than one. I am glad she made it. Sharing my space with them turns out to be easier than I anticipated. Sometimes we think the same things. Sometimes we say the same things. We are like-minded. Gertrude is a talker. "Sometimes I say things that are unnecessary to the person I'm saying them to. But they're necessary to me anyway." She said to me in the kitchen one day, when I was nodding absently to her descriptions. I can't remember what she was describing that day, but I remember that it felt truly unnecessary to me that she should. She talks a great deal of sense though. Kemi gets tired of talking, much like me. She locks herself in her room most times, much like me. But when we are all out, we talk and laugh like old time friends in the few minutes that we can spare. They ask me about the North, about Kano, about what it's like to live there. We take turns. Sometimes we ask Gertrude about the East and other times, Kemi tells us about Western cultures and traditions. "What do you think about Ebedi?" Kemi asked me one day, in my room, after we had dinner with the truly phenomenal Dr. Wale Okediran, and a couple of other guests. "I like the place. It feels like being with relatives, with kin." I said. 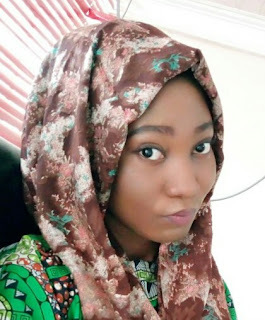 She and I connect on a deep psychological level, the kind that I realize I have unconsciously been searching for, but have only found in one person, my friend, Idowu. We go for excursions in-between writing and mentoring. Gertrude teaches the students Singing, Kemi teaches them Spoken word, and I teach them Pantomime. But more than those, we teach them love; the kind that grows from within, like a planted seed, and spreads out, like branches of a tree, to others. We tell them that there is a life outside secondary school, a tough life. We tell them that it can be lived to the fullest, conquered. We brace them up for their futures. They are ardent, and smart. They have had tens of writers since the inception of Ebedi, preaching the same words, in different ways, different accents. 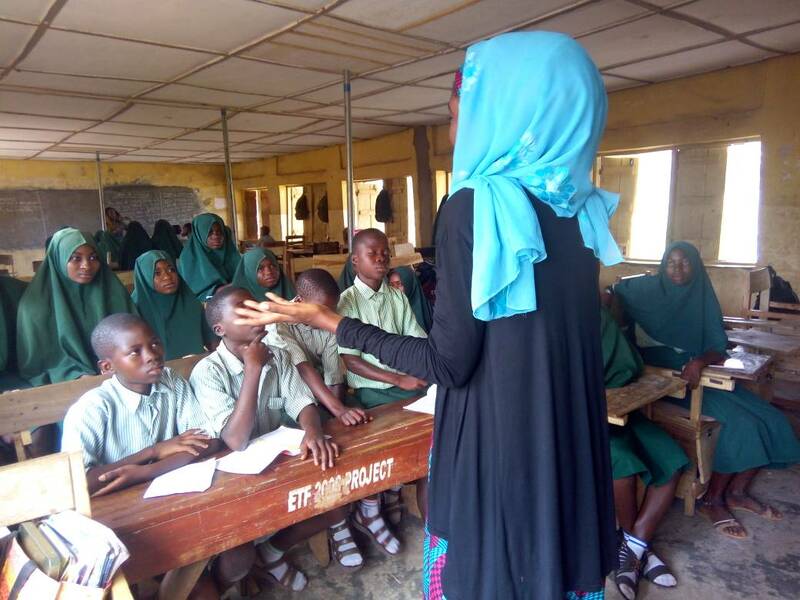 Thanks to Dr. Okediran, they have what no other set of secondary school students in the country have. They are privileged. On my way home, I am less concerned about vegetation, or history, but about how much I have learnt, how much Ebedi has impacted me. I let my mind travel through the events of my six weeks there; through six weeks of sharing an apartment with Gertie, and then with Kems. I have taught in a secondary school before, but this time, it's different, special, because I have learnt a lot from the students as well. This time I am not creating images in my head, I am recollecting pieces of sweet memory that couldn't have been created better. My heart swells deliciously. Ebedi, Dr Wale Okediran, Mr. Bode Akinola, Mr. Koffi Sackey, Cecilia-the help we had at the residency, Gertie, Kems, and the students, have all been an enlightening phase of my life. I do not regret this experience. I will hold it dear to my heart, now, and forever. These little pieces will form part of a beautiful whole someday.